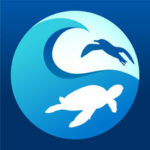 …to protect marine life and reduce pollution. DO take extra care that fishing line doesn’t end up in the water to entangle and endanger wildlife. DO carry something to use as a portable ashtray for your cigarette butts; then dispose of it in a trash can. DO bring an empty bag or container to use for trash and dispose of it properly when you get back to shore. Never throw litter overboard. DO pick up trash you see floating in the water. …and keep harmful bacteria and human waste out of the water. DON’T discharge sewage into the water. Narragansett Bay is a “No Discharge Zone,” which means it’s illegal to dump any sewage—treated or untreated—into the water. This includes inland, fresh water, salt ponds and estuaries, and all coastal waters extending three miles from the Rhode Island shoreline. DO store your waste in a holding tank and pump it out at a designated pumpout station. 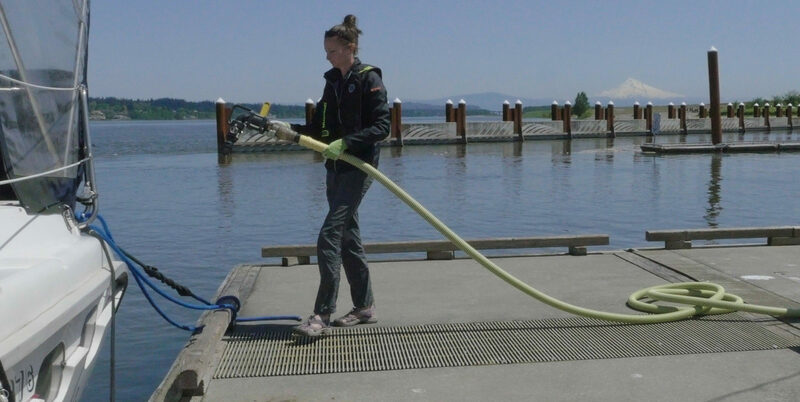 DO discharge boat sewage in designated pump-out stations. …to to keep gasoline, oil and other substances out of the water. DO use a funnel to fuel up your boat, and DON’T overfill. DO keep bilge water clean by using a bilge sock to absorb oil. DO store used oil in a covered container and turn it in at a designated oil recycling facility. 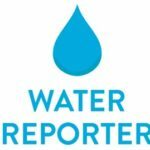 The Water Reporter App is the perfect way to let Save The Bay know when there’s a problem in our local waters. You can be our eyes and noses across the watershed. So if you see or smell anything that might be pollution, snap a photo, write a caption and send it to us on Water Reporter. The Clean Swell App lets volunteers upload important cleanup data in real-time to the world’s largest marine debris database. This database is used by scientists, conservation groups, governments and industry leaders to study ocean trash and take action to ensure trash never reaches our beaches. The MyCoast App lets you upload pictures that capture the highest tides, show storm damage and erosion and record localized flooding. By recording these events, you’ll help decision-makers, emergency managers and others make better decisions about how to protect our coastal communities and assets.